FIRST THEY upgraded the trains. Then there was the new seats and the power points (offset possibly by the increase in food and ticket prices for the trains themselves). Now it looks like Irish Rail users on the Dublin – Cork – Dublin service will be able to available of wireless internet access, free of charge, courtesy of Irish Rail and Airappz. Sure enough, they won’t be the first to offer wifi access on public transport with several coach operators around the country, including Kavanagh’s here in Kilkenny, offering on-board wifi but the development is something that has been long hoped for and though trialling for six months will hopefully stick around and get rolled out across the new fleet. The trail installation will be for a complete trainset for the duration of the trail. After these 6 months Irish Rail will (together with Airappz) evaluate the usage & performance data and based on this they will decide whether or not to put the provision of a fleet-wide wifi service out to public tender. I’ve never been one to take long journeys on the bus and up until I started driving I would almost always look to take the train, or a connection of trains to reach my destination. 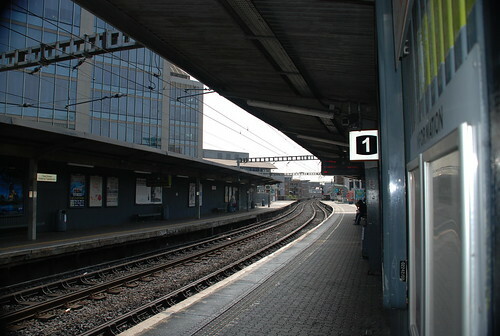 Though the cost of tickets has gone through the roof (I was shocked to pay â‚¬32 earlier in the week for a return to Dublin from Kilkenny, let alone the cost of a return from Cork to Dublin – â‚¬78.50 monthly return at time of writing), the train is still relied on by thousands of business commuters around the country, particularly those living outside of but working in Dublin. Watching tweets over the last few months and years from those testing out mobile broadband dongles on the train to much joy / sorrow depending on what mobile operator you’re with and /or where on the map you’re passing through, I could only hope that the wifi service that will be rolled out on the Cork – Dublin line will be strong, consistent and ultimately be taken up by passengers and Irish Rail alike, paving the way for rollouts on other lines. When I’m not driving, and Dublin bound (like this weekend gone), the train is still preferred. And if I could get a solid connection to work from without having to rely on mobile signal, I’d certainly be a happy traveller. Congratulations to Evert Bopp, more good news for an Irish company.